You've got to hand it to him, Henry was good. I thing naming the North Stand after Sergio is a fantastic idea. Has chance of catching Rooney for sure. Shearer out of reach sadly. Makes you wonder if how many more he would’ve scored but for injuries. 30 plus goals for the next 3 seasons? I would say it is possible, he doesn’t rely on pace and his touch and eye for goal has longevity. Just spent this evening watching clips of Aguero on YouTube... I did indeed shed more than a few tears. Vienna_70 and Armaan like this. 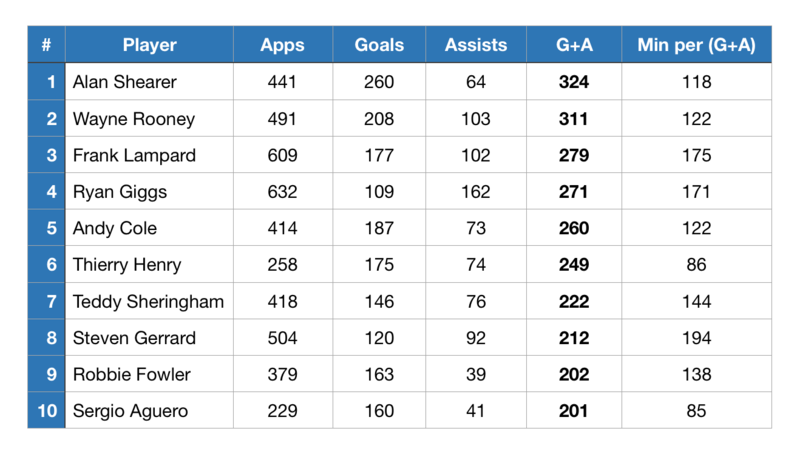 All the others are over 200 min/goal (Giggs 425 min/goal). Chi-town blues, mac, levets and 2 others like this.